We are extremely happy with the Carrier system. My five children and 14 grandchildren have had a tour of the installation and pronounced it awesome. If I could put wheels on it I would drive it around town to show it to everyone. Thank you for your product and pass on my high regard and complete satisfaction to SG Heating & Air Conditioning. SG Heating & Air Conditioning services my HVAC system twice per year — in the Fall and Spring. I have found them to be reliable. They keep my HVAC system running well, they show up on time and are responsive if I need unscheduled help. I have recommended them to a number of my friends, all of whom have told me they are quite satisfied. SG was outstanding. Contacted me immediately, arrived on time, made the repair quickly and efficiently, cleaned up everything, informed me of cost in advance. I am very pleased. SG was very helpful. There wasn’t anything I could have asked for them to do better. As a contractor myself, I found SG to be very professional, I will be recommending them to my customers that inquire about heating and a/c work. 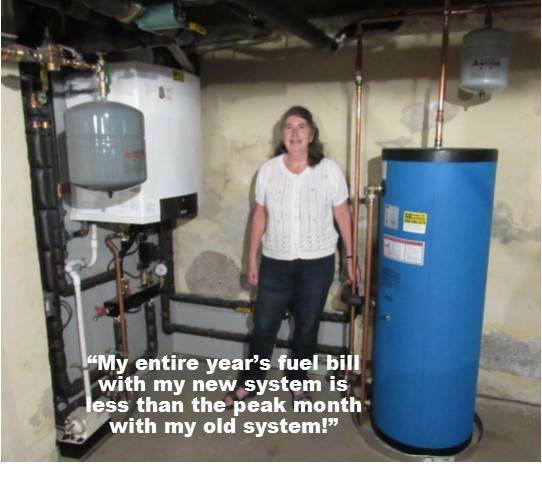 I recently had a heat pump system installed by SG Heating. It’s a complicated piece of equipment and Scott, Tim and his staff did an excellent job installing and integrating in our hvac. Highly knowledgeable professionals. This is a very professional company from A to Z. Good communication with the office when needing to schedule the bi-yearly scheduled maintenance. Technicians are professionals and all interaction with them and the owner were excellent. Scott and his staff are a great team. I had a whole house generator installed and it works perfectly. I recommend SG Heating and Cooling without reservation. We’ve been using SG Heating for 4 years and have been completely satisfied with their service. Scott, the owner, is extremely knowledgeable about all aspects of heating and air conditioning. 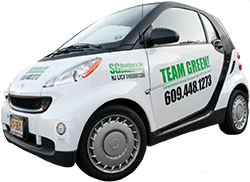 His crew is also expert in energy efficiency, including full home audits and recommendations for savings on our fuel bills. In addition, Scott planned and installed our whole-house generator. The installation was expertly done with no problems or complications. His service has been exceptional– he always responds promptly to email, and is always available for questions or concerns about our systems. After many years of sub-standard service by other companies, I can say with certainty that SG Heating and Air Conditioning is the best! My new zoning works PERFECTLY and solved my problem instantly. Jay and Luis did a great job and they were so pleasant and professional. Thank you so much for all your help!!! Scott & Tim of SG Heating & Air Conditioning really know their stuff and their crew are clearly very well trained and follow through on their very high standards. They all really have their customers interests at heart. You can even see it in the way they clean up after themselves. I’ve never had any other company, HVAC or otherwise, work on this house that I could say that of. They are a real rarity in this day and age.They did a very useful energy audit made useful by extensive discussion and explanation of what they found and what was practical to do in my situation. I kept coming up with more questions about alternative ways I could go and they kept with me throughout that always advising what could be done, what it would cost and whether it would be worth it. Over the years, they took on the maintenance of a furnace that I had put in by a company that is the complete opposite of their standards. When the time came SG replaced that as part of my getting central air which they followed with full basement insulation and the covering of the dirt in my 3/4 dirt basement to eliminate amazing humidity and after that my house became a real haven. A few years ago they put in a tankless hot water system when my hot water tank went and their craftsmanship is a thing of beauty — gleaming solderless copper crimp on connectors. I would certainly recommend SG Heating & Air Conditioning.